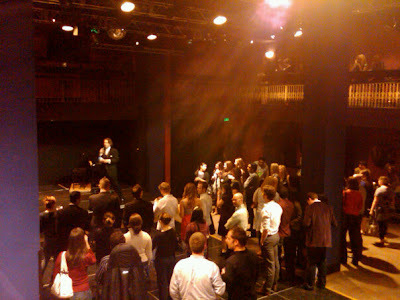 Last night, nine of the area’s top young patrons organizations - including Seattle Opera's BRAVO! Club - came together for the third annual Spring Arts Fling, an evening designed to celebrate and reach out to all the local 20 and 30-somethings with an interest in the arts. 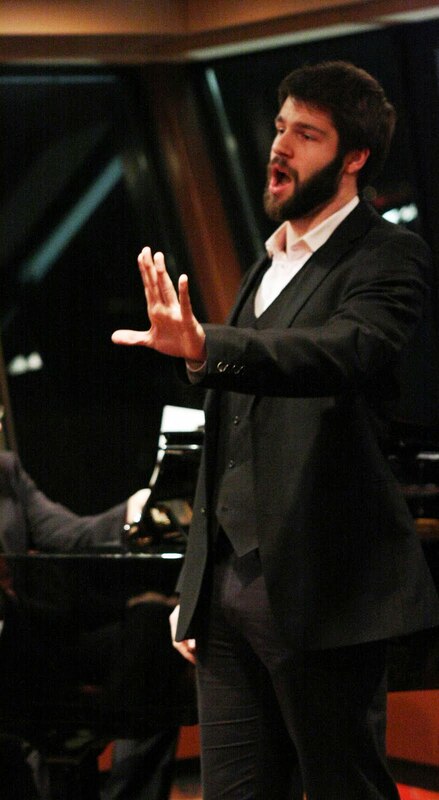 With disciplines ranging from theatre, opera, cirque, and more, the event offered a chance for young patrons to learn what is available to them by mixing and mingling with other young arts patrons and the participating organizations. Both Seattle and Eastside organizations were represented, opening up attendance to all areas of greater Seattle. The event was hosted by ACT Theatre, and live performances rounded out the evening in their Bullitt Cabaret. Acts included a number from Oklahoma by The 5th Avenue Theatre, a presentation of The K of D, an urban legend by Seattle Repertory Theatre, performances from The Full Monty and Jesus Christ Superstar by Village Theater, and the “Catalogue Aria” from Don Giovanni by Seattle Opera Young Artist, Erik Anstine. The remaining arts organizations who participated showed exclusive performance footage, and Teatro ZinZanni let loose one of their most popular roving performers! 2009/10 Young Artist Erik Anstine performs (top). Crowds gathered to watch the various performances on stage (above). Spring Arts Fling was a unique chance to celebrate with other arts patrons while getting a well-rounded taste for what our local arts scene has to offer. The event was a sold-out success, with over 250 patrons in attendance. Hopefully we'll see some new BRAVO! Club members at the Opera as a result! The best performance was saved for last. 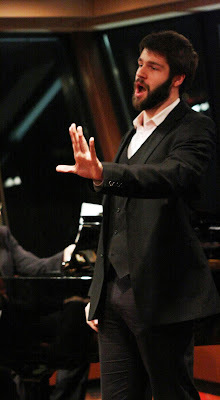 Erik Anstine performed Don Giovanni's Madamina, il catalogo è questo, he did an amazing job.